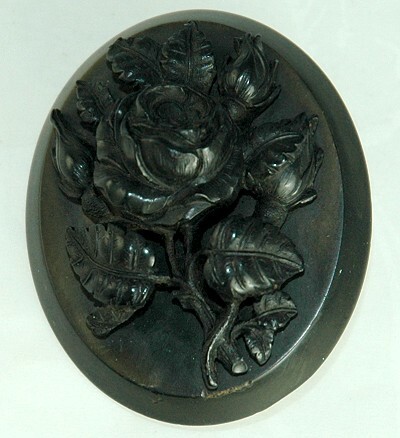 A lovely flower [that looks a lot like a poppy or maybe a rose] in high relief is an excellent example of Victorian Mourning jewelry. Imported. Condition: Excellent antique. Minor dip in pin assembly rod is noted. Measurements: 1 1/4" wide and 2" long.